Solar energy is not just growing at astounding rates, it could make investors a pile of money if they know where to look. And there are even more major catalysts on the way for solar energy stocks. Every March at Windsor Castle, leading global energy figures come together for the Windsor Energy Consultations. Now, I'm not allowed to say who said what at the meeting this year. But that same rule also makes everyone be very frank in their discussions of energy. This led to some very revealing discussions... and to agreement on the three most important shifts changing the energy sector right now. It's very rare that D.C. policy decisions benefit both the oil and renewable energy sectors - traditionally, a benefit to one sector means a net harm for the other. That's because they're thought of as competitors for the same energy dollar. But this deal is different: moves to shore up oil's decline have been the primary catalyst in a nice run up for renewables. The energy sector has hardly escaped the new year's volatility. Good thing there are a number of ways to profit regardless of where oil goes. You see, the "crunch" portrayed by some pundits as representing what oil is doing to the energy sector as a whole is not only overdone, it is also quite misleading. The coming year promises to have energy markets move further into renewable energies. But in the short term, contrasting results from this transition are emerging from both sides of the Irish Sea. These developments are a reminder that the path toward greater reliance on wind and solar power will not be without short-term problems. Energy "parity" has become quite the buzzword among energy analysts. As crude oil continues to hover around $45 a barrel, more interest is being shown in determining the net effective value of other energy sources. But is there any real way to expand this notion of parity to identify incremental values between energy types? I'm on the verge of creating a new yardstick to do just this. Over the past two weeks, word has emerged that moves toward energy efficiency are now the new darlings of European investment houses. So what's holding the banks back from piling in en masse? The problem hardly seems to be raising the funds. Rather, the stumbling block is on the other end of the pipeline. There's a new centerpiece for the accelerating move to renewable energy: Hawaii. The state has opted to go all out on alternative energy. In May, its legislature overwhelmingly passed a plan to move to complete independence from fossil fuels for power generation. But Hawaii has an unusual partner in moving away from its reliance on oil and natural gas - the U.S. military. The alternative energy sector may have found a solution to its storage problem: the hydrogen battery. Hydrogen's chief problem as an alternative energy source has always been the staggering price of delivery and transportation. But one company is making strides daily toward energy storage efficiency and price reduction. The prices of alternative energy stocks are at China's mercy right now. That's because for the past few years, China has been in a dispute with the United States, Europe, and Japan over its exports of rare earth metals. 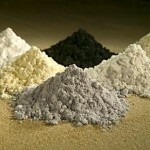 Though China has about 30% of world reserves of rare earths, it controls 80% of international production. As this battle rages on, one thing is clear: The international solar industry could be turned on its side if China begins to hoard these metals and drive up their cost. 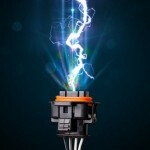 Plug Power Inc. (Nasdaq: PLUG) shares jumped more than 18% to $8.48 intraday Thursday following solid earnings and rosy guidance. While the fuel cell maker reported a loss, it still beat the sole estimate from Cowen & Co. and showed marked improvement in sales and revenue.